Sawsan Zaher writes: The decline in the motivation of Arab voters to participate in Israeli national elections is not strictly a result of political delegitimization. The decline in the motivation of Arab voters to participate in Israeli national elections on Tuesday, 9 April, is not strictly a result of political delegitimization carried out by right-wing Jewish parties. According to some of those Palestinian citizens of Israel who are choosing to boycott the elections, the vote itself – which is supposed to be democratic – is also tainted by racism. Though the final results of the disqualification procedures were ostensibly good for Arab candidates, they nevertheless did not contribute to creating a feeling that Arab voters are welcome and equal participants in the election process. Attempts to disqualify Arab representatives from being elected to the Knesset were based on pretexts that they aim to revoke the Jewish and democratic character of the State of Israel. Pretexts of "negating the existence of the state as a Jewish and democratic state" and "supporting the armed struggle of a terrorist organization" were wielded in disqualification proceedings against Arab candidates, while disqualification motions against far-right Jewish candidates focused on the pretext of "incitement to racism." But this is a seemingly false equation: there is no substantive connection between these pretexts, barring their registration in the same section of the law. However, a look at the positions of the Israeli attorney general and Israeli Supreme Court decisions shows that both reflect essentially racist practices aimed exclusively at Arab citizens of Israel. The position of the Israeli attorney general, who supported the disqualification of far-right Jewish candidate Michael Ben-Ari, was based on more than 10 statements Ben-Ari made over the past two years, all of which constitute incitement to racism, violence, and even murder of Arabs. He said, for example: "…anyone who dares to speak against a Jew: he shouldn't be alive. He shouldn't be alive! We don't deport him, we don't deny him citizenship. He shouldn't be alive! A firing squad kills him, they annihilate him. This is what Arabs understand." These statements, according to the attorney general, have accumulated into a critical mass of incitement-based evidence. 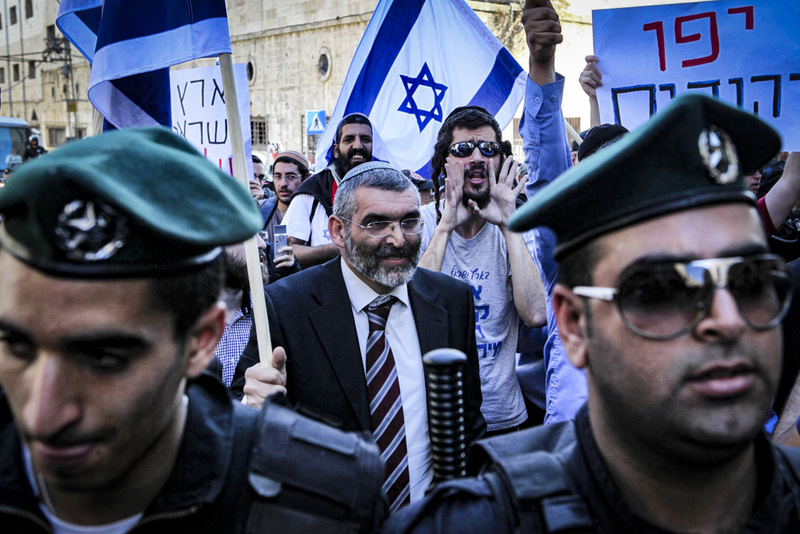 However, this critical mass has not yet been sufficient for the attorney general to initiate criminal investigations against Ben Ari for incitement to racism, violence, and terrorism. And still, even after the Supreme Court ruled by a majority of eight justices to one against Ben-Ari's participation in the election – on the grounds of clear and systematic incitement to racism – the attorney general has not opened an investigation against him. This did not prevent the attorney general from basing his indictment of Palestinian poet Dareen Tatour on just a lone, single statement – because she used the term shahids (martyrs) in a poem that did not itself contain any incitement to racism or violence. Does this discriminatory policy, which was content with merely preventing Ben-Ari's run for parliament, not attest to the attorney general's own racism against Arab citizens? On the other side of this crooked equation, the absence of a particular "critical mass" was used for a different kind of racist performance. The mere attempt by members of the Balad list to submit to the Knesset for legislation the Basic Law: A State of All its Citizens served as sufficient evidence justifying the Central Elections Committee (CEC)'s rejection of Balad. Dr. Ofer Cassif of the Hadash party was likewise disqualified by the CEC because he posed an intellectual challenge to the Jewish character of the Israeli state. A mere discussion around the state's Jewish character in the Supreme Court was itself seen as tantamount to incitement to racism. The Israeli demand that Arab political lists defend themselves against this perceived "guilt" is an expression of contempt and humiliation for every Arab, because it forces them to express acceptance of their inferior position. This is a legal perception characterizing a slave-master relationship, according to which any challenge mounted by the slave to his oppression and exclusion is a forbidden challenge to the existing social order. The Supreme Court – perhaps without intending to do so – made a decision resulting in racism when it rejected the disqualifications on the grounds that there did not exist a critical mass of evidence against them. By doing so, the court essentially instructed the Arab public to reduce the scope of its struggle for equality and imposed upon it behavior befitting a "cultured slave". A law that allows the possibility of disqualifying a Knesset candidate or list if they challenge the character of the Israeli state as Jewish and democratic is clearly racist. It is not by chance that this law is aimed exclusively at Arab lists and their representatives. The Israeli attorney general's arguments about the existence of a critical mass of Ben-Ari's inciting statements on the one hand – and the absence of a critical mass of calls for equality on the other – attest to a critical mass of racist perceptions in Israel's elections law and in all the state bodies charged with its implementation. Sawsan Zaher is a senior attorney and serves as deputy general director of Adalah - the Legal Center for Arab Minority Rights in Israel, which represented the Ra'am-Balad and Hadash-Ta'al political lists and Dr. Ofer Cassif during their disqualification proceedings.